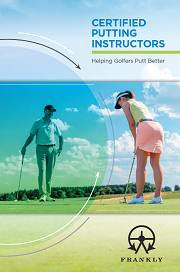 Munster based PGA professional Ian Stafford is all set to help Irish mens and ladies golf teams with their putting, enhancing his knowledge by becoming a Certified Putting Instructor (CPI). Stafford, who has been a Provincial Coach for the Irish Ladies Golf Union for 11 years, working with the best lady golfers in Ireland and attending events like the European Championships, has recently also been appointed as a Provincial Coach for the Golfing Union of Ireland, taking on responsibility for putting, course management and psychology with his teams. Upon completing the CPI Course, which he took to help lend structure to his putting lessons, Stafford has put his knowledge into action, creating an hour long clinic for his students. “I have given a number of lessons since qualifying which have been very well received. “My first 2 clinics were with a scratch player and a 21 handicap and they went equally well. Both students made good progress. In the CPI Course there is something for everyone. The better golfer requires more indepth knowledge and will ask more questions, and the CPI Course gives you that background,” said Stafford. 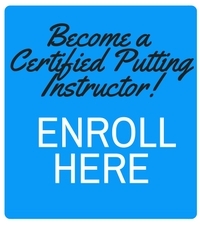 The Certified Putting Instructor (CPI) Course, is a certification based on scientific principles offered by U.S. based Frankly Golf and the PGA with the goal of helping golfers putt better, adding an extra dimension to the services that the golf professional can deliver. Stafford who has represented Ireland as an amateur, playing alongside Graeme McDowell, is a very busy professional. He fulfills multiple teaching roles, one of which is working with both National Governing bodies in Ireland. He was also recently appointed Head Teaching Professional at Lee Valley Golf and Country Club, combining this with his teaching at Kinsale Golf Club and Innishannon Golf Range. Since 2006, Stafford has used his knowledge and experience to transform the Junior section of Kinsale Golf Club, producing multiple Muster and Ireland representatives over the years. He teaches all levels of golfers from beginner to elite. His own passion for golf started when he was introduced to the game by his grandfather. “I wanted to be a golf pro from an early age. I was inspired by the official Lee Valley Golf and Country Club opening. I was only 10 years old but remember Fred Couples who was The Masters Champion at the time playing with Christy O’Connor Jnr. “I feel like my career has come full circle now that I am teaching at Lee Valley Country Club, and look forward to helping golfers of all levels play and putt better.” said Stafford.